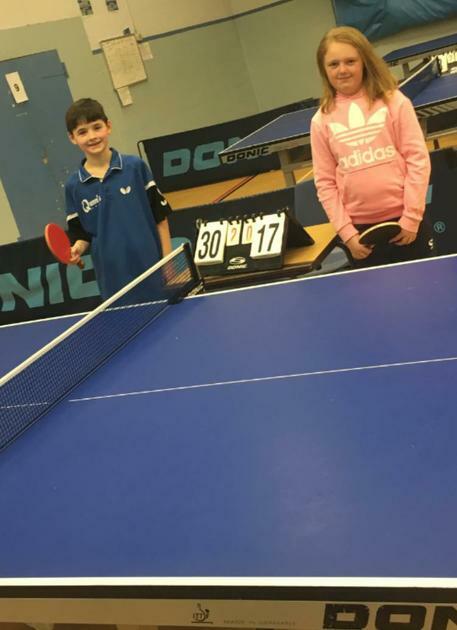 On Sunday, Grace and Jake travelled to Southampton to compete in the county finals of the Individual Table Tennis Competition. Both children were placed in a group with two other children, with the top two then qualifying for the knock out stages. Grace won both her group matches 3-0 and this meant she qualified in top spot from her group. She then again won 3-0 in the quarter finals. Grace lost in the semi-finals to the eventual winner of the competition and finished in 4th overall at the tournament. An excellent achievement! Jake also won both of his group matches 3-0 and won the quarter finals 3-0. In the semi-final Jake played the boy he had played in the final of the Basingstoke competition and although he won the first set eventually lost 3-1 in a thrilling match. Jake then won his 3rd/4th place play-off game meaning he finished 3rd overall. Well done to both children on playing so well and representing St John's.